The spike in heart rate coming from the thrill of victory and the agony of defeat while watching a hockey match may have a substantial effect on the cardiovascular system. The nail-biting moments of a hockey match can prove to be a bit too much for your heart to fathom, quite literally. The highs and lows of a thrilling match may leave you at the edge of your seats but the stress that accompanies it may lead to elevated heart rates, equivalent to high rates when you are involved in vigorous exercise. This spike in heart rate coming from the thrill of victory and the agony of defeat can have a substantial effect on the cardiovascular system. The findings, published in the Journal of Cardiology, revealed that the pulse of fans during a hockey game and found that on average, their heart rate increased by 75% when watching on TV, and by a whopping 110% (more than doubled, equivalent to the cardiac stress with vigorous exercise) when watching a real match. Several studies done in the past have noted the effects of sporting events on heart rates and cardiac cases, but this is the first of a kind to specifically focus on hockey. The findings further revealed that there was a 75% increase in heart rate in TV viewers and the 110% bump in those watching a game live. These rates are equivalent to the heart rate response that occurs with moderate and vigorous physical stress, respectively. Overall, the heart rate increased by a median of 92% (almost doubled) across all spectators. 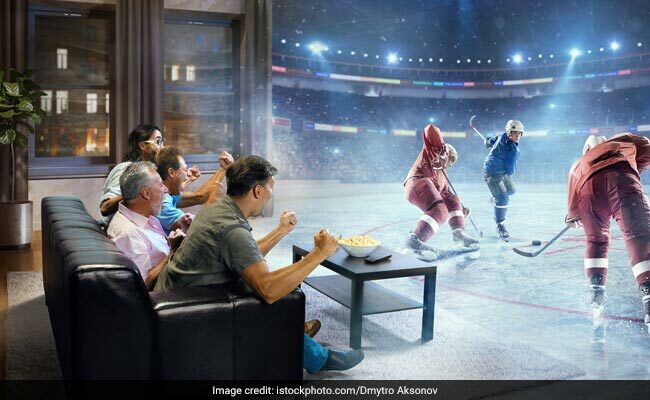 Viewing a hockey game can likewise be the source of an intense emotional stress, noted senior investigator Professor Paul Khairy, MD, PhD, Montreal Heart Institute, University of Montreal. He further noted the results have important public health implications, as it indicates towards the immense potential that the emotional stress-induced response of viewing a hockey game can trigger adverse cardiovascular events on a population level. The researchers found that peak heart rates occurred most frequently during any scoring opportunity - for or against - and during overtime. For the study, the team made individuals to fill out a brief questionnaire, which not only assessed their general health, but also determined their fan passion score, a method of calculating how invested a person is in the team. The researchers also adopted the fan passion score from previous studies done on soccer fans, but discovered that in the case of hockey matches, the score failed to predict the correct heart rate responses. Several studies done in the past have also pointed that the risk of cardiovascular events triggered by watching sporting events are more pronounced in people with existing coronary artery disease. This is because of a disproportionate increase in markers of vasoconstriction and acute inflammation in their vessels. Hence, it is especially recommended for them to be careful while watching these intense matches. Heart is the center of your cardiovascular system, and it is responsible for the transportation of oxygen and just about everything that supports life. Therefore, it is extremely important to keep your heart healthy. Here are some foods that promote good heart health. 1. Oats: Oats are known to contain a type of fiber that helps bind bile acids and expel them from the body. These bile acids are made from cholesterol. A diet that includes oats is effective in lowering the cholesterol levels in our body. 2. Nuts: Munching on a handful of nuts can do wonders for your heart. These nuts have high amounts of unsaturated fats that are good for your heart as they help in reducing the inflammation of the arteries. 3. Legumes: Legumes are great for the heart and have antioxidants, proteins and fiber. They are also a great source to get your folate requirement from and also help in increasing the platelet activity. 4. Berries: Berries are full of heart-healthy phytonutrients and lots of soluble fiber. Make a quick smoothie or sprinkle them over your breakfast cereal. 5. Flaxseeds: Flaxseeds are rich in omega-3 fatty acids, fiber and phytoestogens and all of these help in boosting heart health. It is best to soak or grind flaxseeds before consuming them to derive maximum health benefits. Load up on these foods and keep your heart healthy and happy. Is Your Exercise Routine Too Little Or Too Much?